We promised some time ago (almost a month it is! ), but a considerable number of issues, some of them related to our beloved ‘Jelly Is Life’, have been keeping us busy. 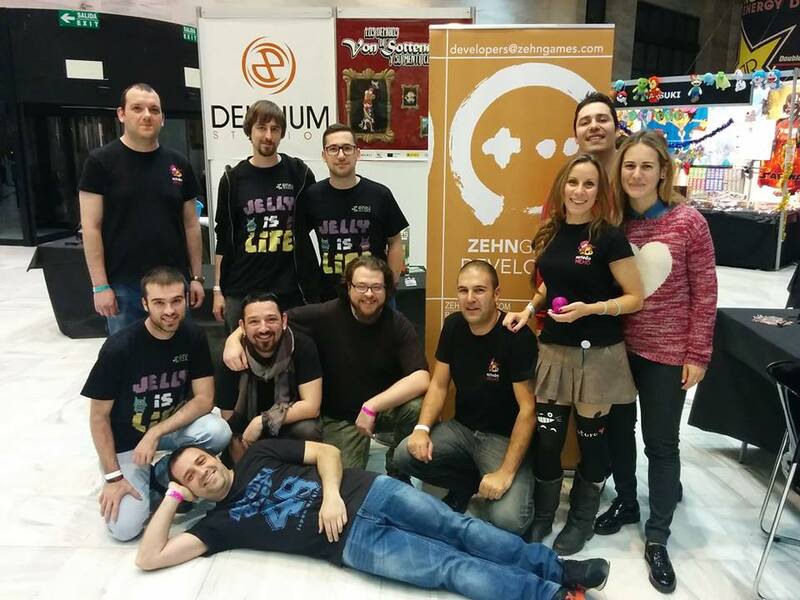 Anyway, and leaving aside pretexts and excuses, here is our late chronicle of Granada Gaming Festival 2015, which took place last December from the 11th to the 13th. Three members of our team went there (Marc, producer; Adrià, developer, and myself, Dani, game designer and writing mercenary), guarding our own stand armed with a laptop, two tablets and our secret weapon… Yes. It was gelatin. It was our first convention, so despite reading a lot and asking for advice we weren’t quite sure about what to expect. We began working long before the event, let’s say around one month. 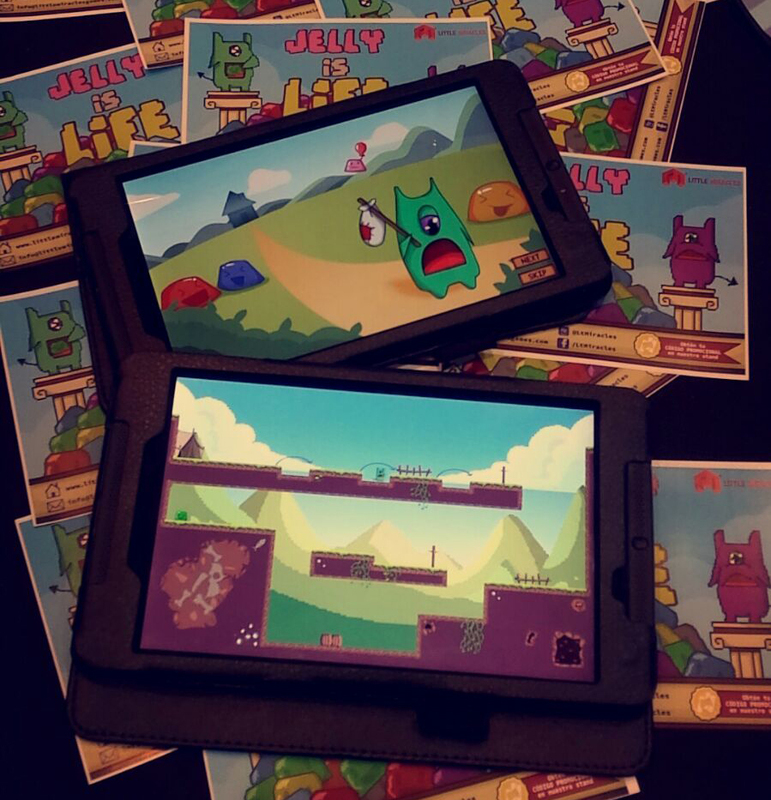 Of those weeks, the first thing that comes to our mind are the nights we had to stay up late polishing ‘Jelly Is Life’. Converting a game that has been just under two months of development in an experience to be played by the masses takes a lot of hard work, there’s no point in denying it. In the end, new artistic facade included, we arrived at Granada with a total of 22 brand new levels, half in the single player mode and half in the multiplayer. Also, we added a deathmatch mode at the last moment. We did it quite impulsively, but it turned to be our greatest asset. 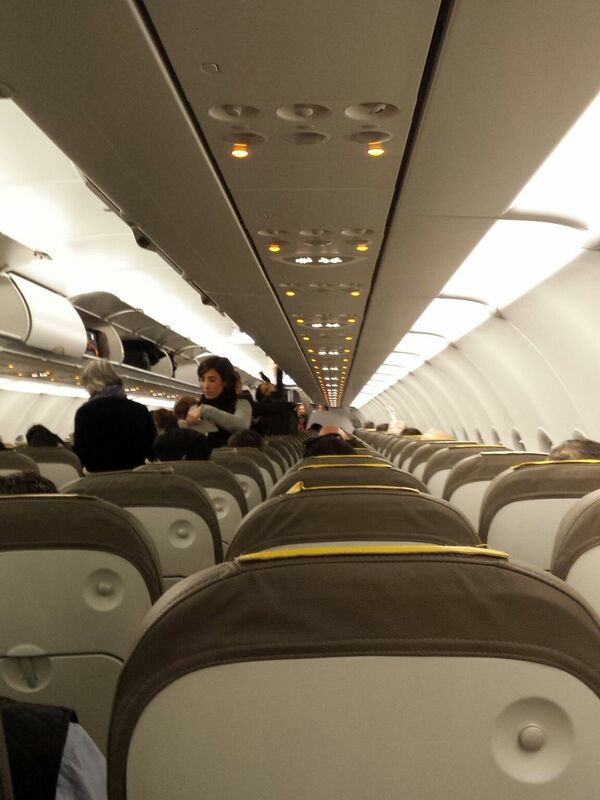 We took our air tickets and accommodation early, both cheap, as far as it goes. Ah, here’s a tip: you better know exactly where you’re staying; your hotel may be the cheapest option you find, but if it’s far from the place where the event is held, count on paying for any kind of transport at least twice a day. For us, the thing was about to turn out a bit expensive, but an unexpected agent saved us: the Nemo factor, which we’ll discuss a bit later. 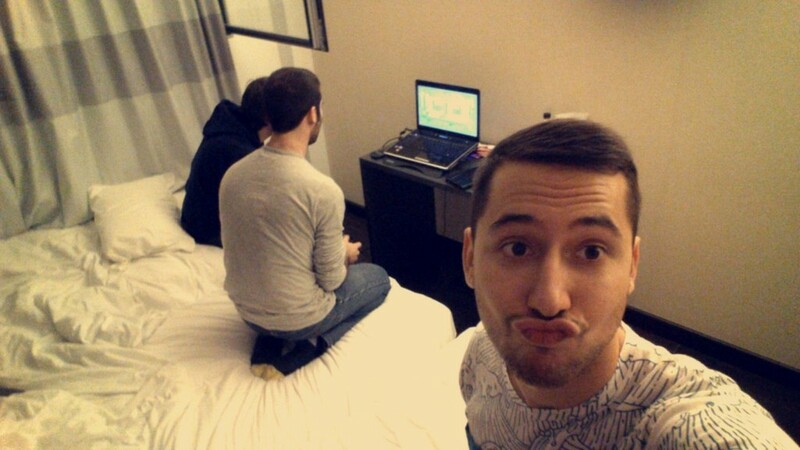 Anyway, we got to Granada one day before it all started and we spent the day just being lazy and playing our own game in the hotel room. A great plan it was, as it implied resting a lot. Considering that in the next three nights we were going to sleep six or seven hours in total, the truth is that our early break became a good, if insufficient, idea. The next day, Friday, we began moving. Having visited the magnificent Alhambra, we arrived at the Palacio de Congresos, we left our belongings and prepared to engage with other developers. We didn’t have any preconceived plan and knew just a few people: the guys at Talking About Media, who organized the thing; our friends at Psycogaming; Carlos Coronado, Mind: Path to Thalamus developer and winner of the award for best artistic design, and little else. What we did not know then was that we’d leave with new friends. Lorena and Alfonso, from Estudio Nemo, who saved our lives more than once (they are the Nemo factor) and guided us to the best tapas in the city, which is a damn lot to say; Fernando from MassiveFun3D, a great creator who won the award for best mobile game with his Colords; Hilarión and Ana from Upware; Arturo from Feitizo Games, who offered his Geodessey to the attendees as a dealer of evil intentions … Anyway, take a look at the list of people with whom we shared oxygen and see the amount of devs we met. Ah, but in theory it was about the players, right? Saturday was our first contact with the public. We weren’t quite sure about it all, but it was a non-stop: visitors of all ages came by, played and repeated. Of course there were many things to improve, but the feedback couldn’t have been more positive. After an exhausting day, we went out to dinner with everyone and realized again that Barcelona is bloody expensive. Sunday was less helter-skelter, but having less people served us to get to know other developers with whom we had not yet spoken. In addition to networking, queues had disappeared and we could treat players in a much more relaxed and attentive manner. On Monday morning, with only a couple of hours of sleep, we finally packed and catched the bus to the airport. Note, again, the big Nemo factor: Alfonso took us to the bus stop in a ridiculously early hour (we’ll never tire of saying thank you!). “The truth is I’m very pleased with the feedback we received and our expectations are still good today. Since Granada we are eager to continue our job with ‘Jelly Is Life’. I want to say thanks to all studios that helped us to integrate. Well, we are ready to work to death if necessary.”- Marc Marfà, extremely motivated. “At first I was very nervous about the feedback we might receive. We had a little game, we were absolutely novice and would have to work together with strangers in a room for a whole weekend. Even so, the first day we discovered that people were excited about ‘Jelly Is Life’ and everyone around us showed us their best side. We got many opinions, made many new friends, found many things to improve, but above all we lived an unforgettable experience. Now it’s time to work hard to bring our game, the game that so many people loved, to life.” – Adrià Casanova, visibly moved. Nothing to add. See you soon!